The 1939 French publication "Modèles de lettres modernes par Georges Léculier" ( "Models of Modern Letters by Léculier") presented some unique and stylized type designs with Art Deco influence. One such example is an abstract modular alphabet constructed of rectangles and circles. 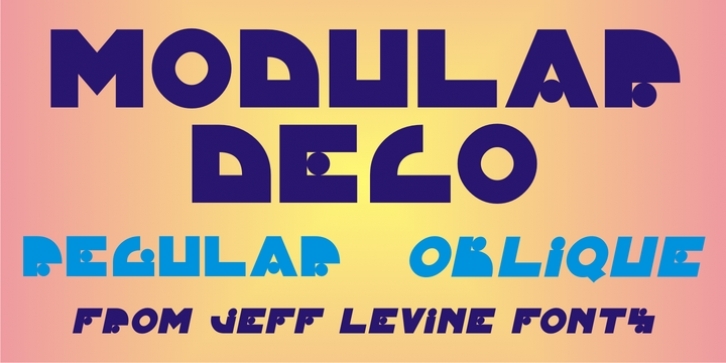 This is now available as Modular Deco JNL, in both regular and oblique versions.